The following are days when the banks close. Note you can change money on Phi Phi Island every day of the year. 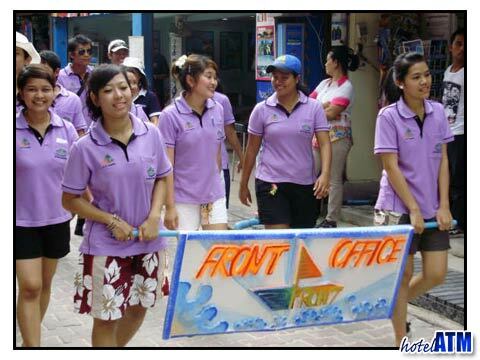 Phi Phi Island doesn't close on these days but it is smart not to plan ato do anything involving the government offices as they are probably shut or working with a skeleton crew. These are crucial around which to plan your travel to Phi Phi Don Village . For some dates like the new year the prices of the Phi Phi Hotels and Phi Phi Resorts can be over double what you would expect to pay in low season. The Songkran festival is a fun day where you wouldn't wan to miss if you could possibly help it. Be careful of the Phuket Vegetarian Festival on the full moon in October in Phuket as on some days the town gets so busy you cant reach your ferry. April 13, 14 and 15th; Thai New Year ‘Sawadi Pi Mai’. Hotels, Boat, Bus, Plane, Train are busy. November; Loi Kratong Thai Buddhist ‘Forgive and Forget’ ; Hotels, Boat, Bus, Plane, Train are busy. December 25th till Januar 3rd; Hotels, Boat, Bus, Plane, Train are busy. On Ramadan the end of the fast, the local Muslims stop work to enjoy a feast. Ramadan varies every year but is from Christmas time to March. Organized tours can be delayed by an hour on Fridays when the boat captains go to the Mosque .